(If you are here via Instagram, you can skip the next paragraph and go directly to the more pertinent conversation about our scrumptious tahini sauce). I don't know about you, but I'm always on the lookout for scrumptious, easy sauces to dress up our weekday meals. And this one has sort of stolen our hearts. I came across a couple of different versions of it recently and took what I deemed to be the best of each to create it, and now we're deep into tahini sauce love. 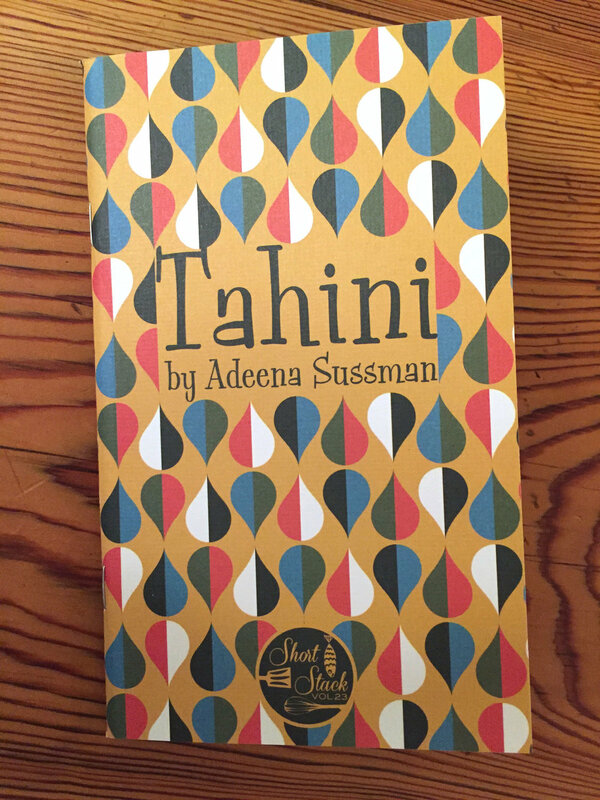 Granted, I'm prone to put tahini in just about anything, but especially so since I got my much-beloved copy of Adeena Sussman's little Short Stack book completely devoted to the topic. This particular recipe doesn't appear in her book, but I totally believe she would approve. There aren't a lot of ingredients to fuss around with and it's all done in the food processor (or blender) so it comes together super fast. I try to keep these ingredients on hand at all times for such moments when it feels like my roasted (or grilled) salmon needs a little sauce-y bling. 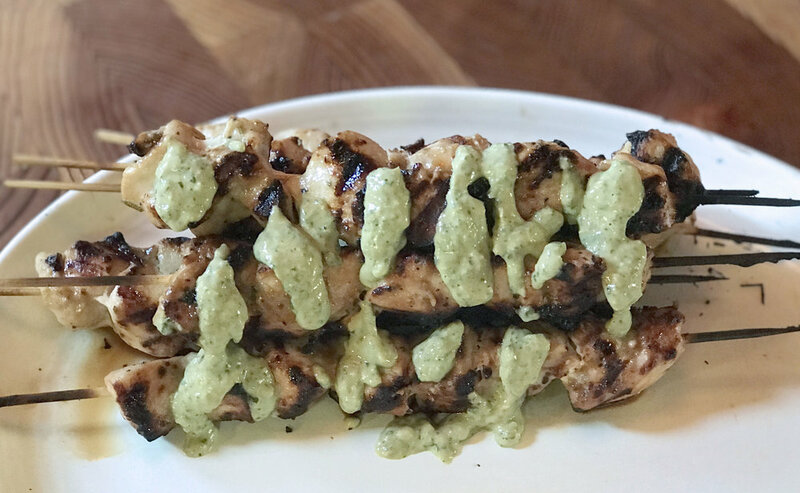 Or like when last night's grilled chicken skewers got a bit of an upgrade with a drizzle of the stuff and it all turned out eye-poppingly amazing!! There really is very little I can think of that wouldn't be made that much better with a little of this drizzled over the top. 2 Add the remaining ingredients and puree until smooth. The sauce should be a little thinner than mayonnaise; if it is too thick to pour, gradually stir in more lemon juice or water, depending on how tart you would like the sauce. Taste, and add more salt or lemon juice if desired. Add cayenne pepper to taste, or serve the sauce with cayenne sprinkled on top. 3. The sauce thickens when refrigerated. Just before serving, if necessary, stir in more water by teaspoons to bring the sauce back to the consistency you like.